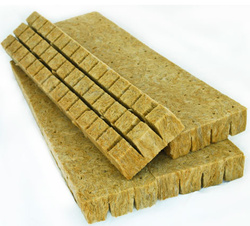 Resin Bonded Rockwool Slab can be used on both flat and slightly uneven surfaces for thermal and acoustical insulation of ducts, ovens, vessels, tanks, cavity walls, curtain walls, sandwich panels industrial equipment. Our resin bonded slabs are available in rigid and semi-rigid slabs are known for their non-combustible class and fire index quality. 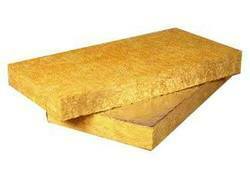 We are the manufacturer of Rockwool RB Slabs, available in shrink pack for easy transportation. 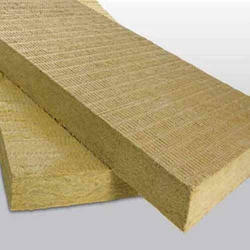 Very good for thermal and acoustic insulation. Useful for textile dryers, acoustic enclosures, noise control applications, wall insulation. We offer our clients with a comprehensive range of Resin Bonded Slab. Our range meets the demands of insulation of flat or slightly curved surfaces. We offer these in rigid and semi rigid slabs, which are also acclaimed for non-combustible Class I fire index quality.